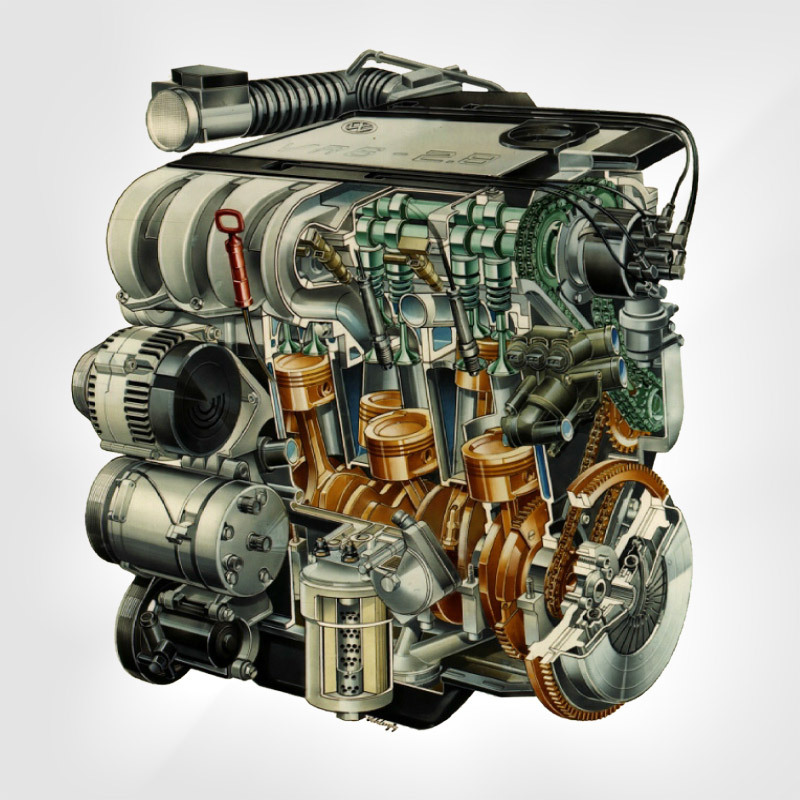 To improve the construction of internal combustion engines and damage analyses, it is neccessary to measure the thermal and mechanical loads in the engine. Two important variables here are the transverse movement of the piston (secondary movement) and the position and deformation of the piston rings during the individual operating strokes. The measurements must be made under operating conditions in order to provide reliable results. To do this, the engine is run on the bench either in test mode or normal operating mode.